If you live in the San Diego area and haven't been to Northgate Market, you are really missing out. 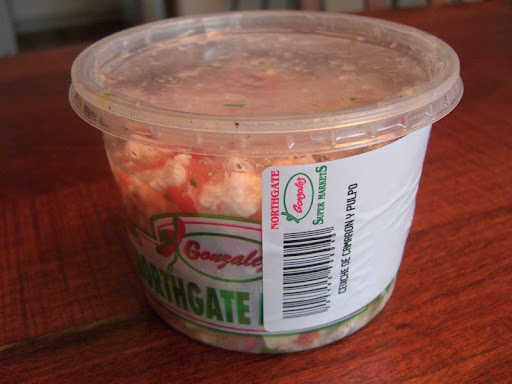 Northgate is a large full-service supermarket that specializes in Mexican and other Latin American foods. We found out about this gem just this past summer, and have been able to get products there that we haven't been able to find elsewhere (such as the ingredients for our Anticuchos). On a recent visit, Sherry picked up two of their ceviches - one with fish, shrimp and green chile, and another with fish, shrimp and octopus. They were similar, but we liked the one without the octopus better. 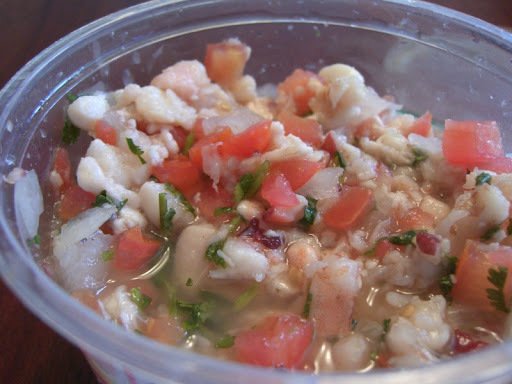 The octopus was fine, but overall the ceviche was more salty and we really liked chile flavor in the other one. 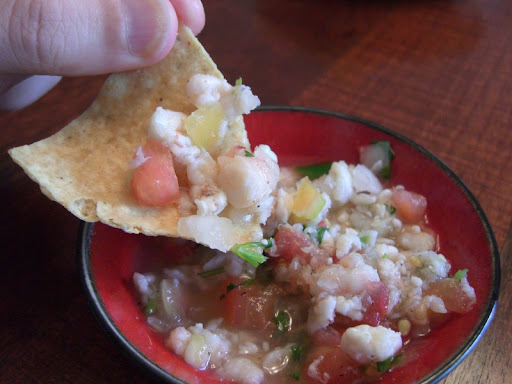 Ceviche and tortilla chips make a perfect light lunch. 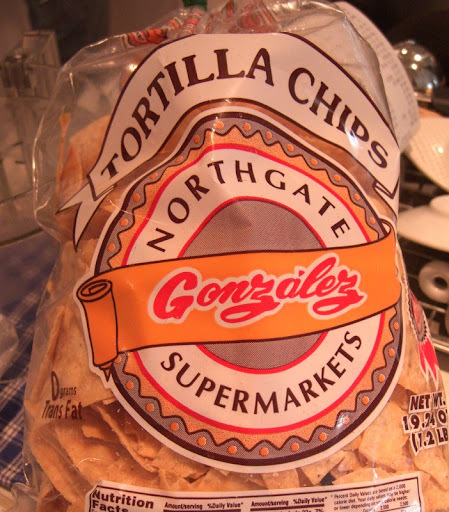 Northgate's house brand of chips are fantastic - as good as we've ever had. So go check out Northgate Market. It is really easy to get to. From 805 south of 94, you just get off on the 43rd St. exit. It lets out right in front of the market. hi! i saw your blog on mmm-yoso's side bar. they are going to open a northgate market near our place soon (i hope). it's on east 'h' street next to kmart in the rancho del rey area. can't wait - one of my students told me that they will have a lot of middle eastern type foods/ingredients there. yumm! It makes sense for them to open more stores here. They have 25 locations, but all but one are in the L.A. area.